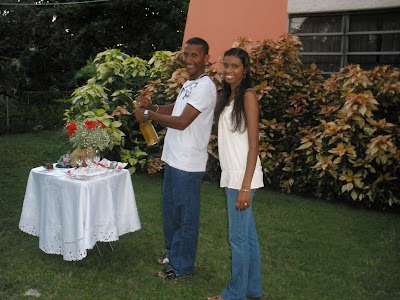 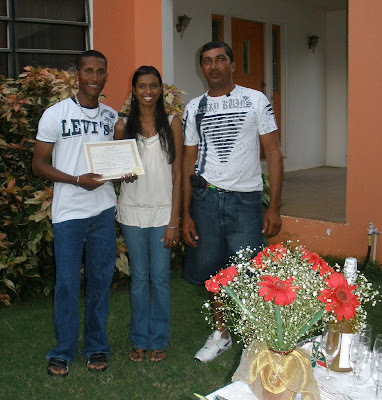 This Guyanese couple living and working in Cayman were married according to Hindu rites some time ago, but wanted to get their legal, registered marriage performed in Grand Cayman. 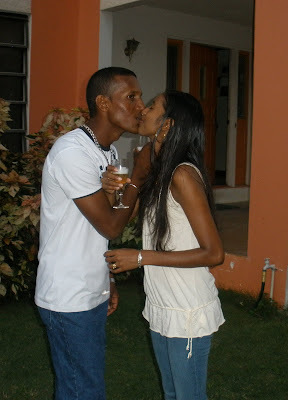 They arranged to get married yesterday afternoon at my house in George Town. 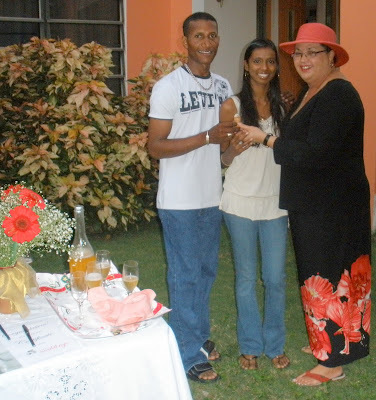 Some of my potential local clients may not realise that they can also be married at the Simply Weddings office, at 306 North Church St., in George Town which is near to Kirk Supermarket. 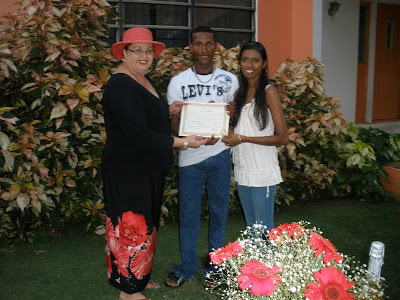 With one of their two witnesses required by law, I can usually arrange for another witness as I did in this case.